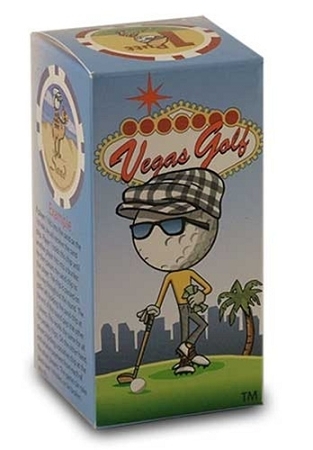 The Ultimate On-Course Betting Game! Each player begins the round with no chips. The first player to hit a shot that corresponds with the designation on the chip is given that chip. He keeps that chip until someone else hits the same shot. The chip is then passed to the next player who makes that same shot. Example play: if a player goes into the sand, he holds that chip until another player goes into the sand. He then passes the chip to that player. The same holds true for the positive chips. The last player to get a one putt or a birdie is the one who gets the chip. Now for the good part! At the beginning of the round, each chip is assigned a designated dollar value. At the end of the round, those players holding the negative chips pay each player the designated amount for each chip he is holding. Those holding the positive chip will receive the same amount from each of the other players. The payoff is determined by the last golfer holding the chip. The cash-in is at the 19th hole.